Former Swindon Town chairman Jeremy Wray has made a formal offer for Birmingham City FC with a pledge of a £25 million a year budget - but warned that "internal bickering" could kill the bid. The UK investment manager has joined forces with former Newcastle United director Steve Hayward to throw down the gauntlet to Blues&apos; Chinese owners with an offer for the St Andrew&apos;s club. Mr Wray said a previous bid last month had been scuppered by "internal political issues" - and warned his investors would walk away if Blues were facing a relegation dogfight. 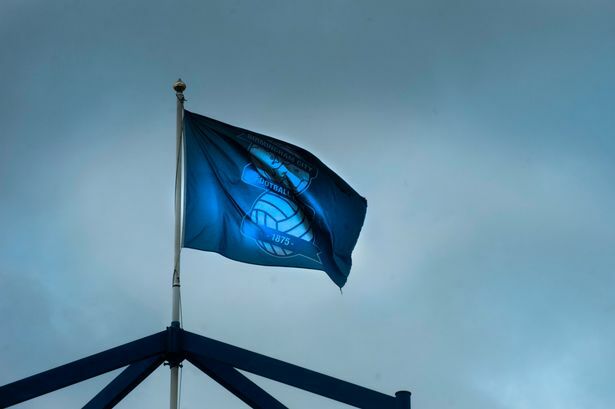 He said: "On November 1, I submitted a formal offer for 100 per cent of Birmingham International Holdings&apos; (BIHL) holding in Birmingham City FC, subject to contract and due diligence, to Panos Pavlakis, chief executive of the football club, requesting that he present it to the board of BIHL. "This, for whatever reason, did not happen. We were amazed that no announcement of our approach was made on the Hong Kong Stock Exchange by BIHL as we deemed this a firm offer and certainly not informal." Mr Wray said his bid was later refused due diligence as it would require a board decision from BIHL, superseding written authority from BIHL chief executive Peter Pannu. He added: "I made it very clear that we had no interest in becoming embroiled in the internal issues within BIHL which were clearly a matter to be resolved amongst themselves. "Whilst I was able to raise the necessary funds to offer to buy the club, it was quickly apparent that there were significant regulatory hurdles that needed to be overcome before any bid could succeed. "Ultimately, these problems appeared insurmountable and my buyers walked away. Since then, I have been working with Steve Hayward, who has significant commercial contacts that he believes he could bring to the club if we succeed in gaining control." Mr Wray said he had been in discussions with new investors who shared his "enthusiasm to take the football club forward". "It is clear from the club&apos;s current position in the Championship, that further money, possibly approaching £5 million, will need to be spent in January to avoid the unthinkable, namely that all tangible value in the club is eroded by dropping into League One," he said. "I also made clear to my investors that from June 2015, since the club would no longer be in receipt of any further parachute payments, not less than £10 million would be needed merely to maintain the status quo for the 2015/2016 season and that in truth, if the club was to make progress in this period, not less than this amount (£10m) would need to be spent in July and August, 2015 on strengthening the team. "Thus, on a two-year view, they would need to budget for ongoing investment of not less than £25 million per year, if the club was to mount a realistic challenge at the top end of the Championship. "My investors accept this scenario and are prepared to make the necessary investment into the football club. "In light of this, I was mandated to approach the board of BIHL with a view to purchasing the club on the terms set out in the offer letter dated November 1. "The frustration for me, and potentially the real tragedy for the club and its fans, is that there is a tangible possibility to secure the club&apos;s future under credible new ownership and for the club to at last rise up once more and compete at the highest level, which is in serious danger of being destroyed by the internal bickering within BIHL."